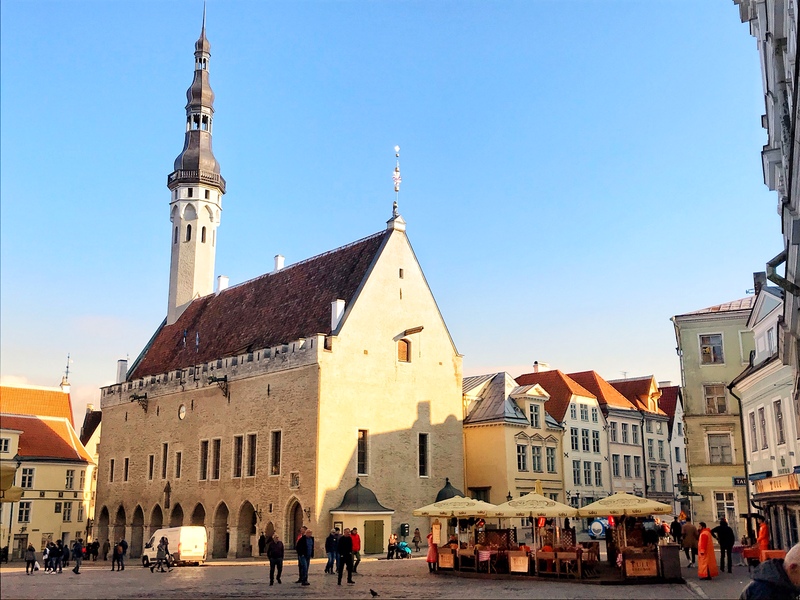 Tallinn’s town hall is centuries old, gothic in style and was built to be the town hall. It is the center of the old town and the centerpiece of the large market square. I’ve found the Estonian people to be exceptionally pleasant and friendly. Most of them speak English well. I pre-booked an old hotel near the center of the Old Town and I was very happy with my choice. 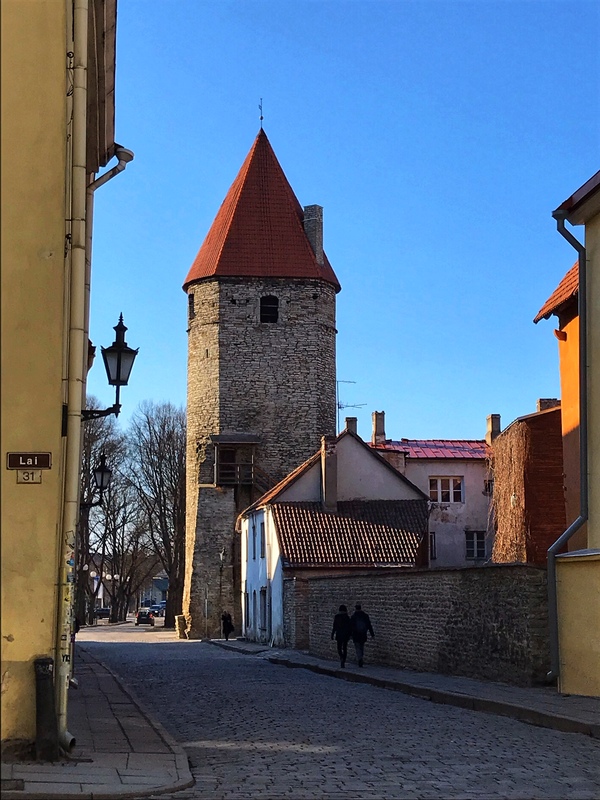 Tallinn’s medieval city walls are studded with many towers. They are still intact in most places despite many attacks over the centuries including World War 2 bombing. The tourist office here is the best I’ve found. Not only do they patiently explain in English the answer to questions but they have also arranged three daily free walking tours. 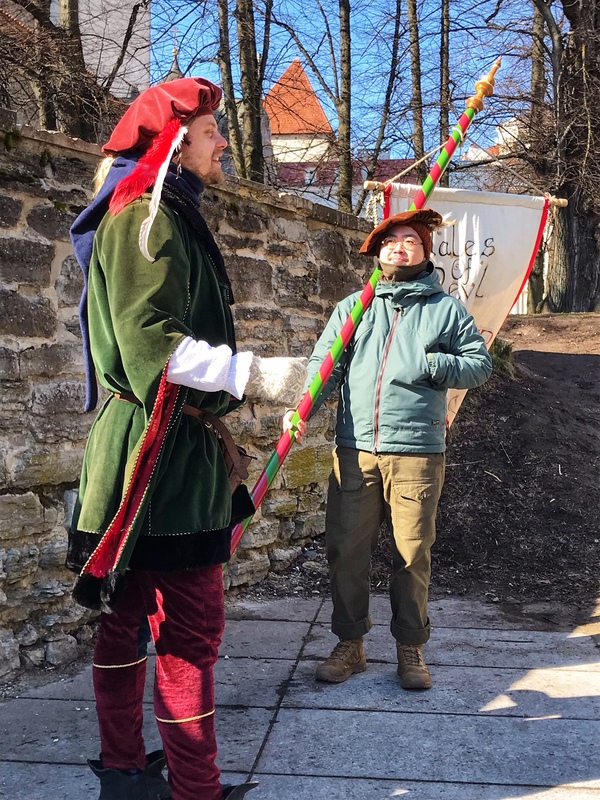 I especially liked the “Medieval History of Tallinn” tour with Gregorian, a guide who made history fun. Tommy was chosen to be our flag-bearer for our Medieval Tour group and with pride and good humor he carried the banner through the town. Greg, the guide, was very good, funny, full of information, a natural actor. I asked our tour guide about life under the Soviets. He’s young and probably doesn’t have direct memories of the years before 1991. 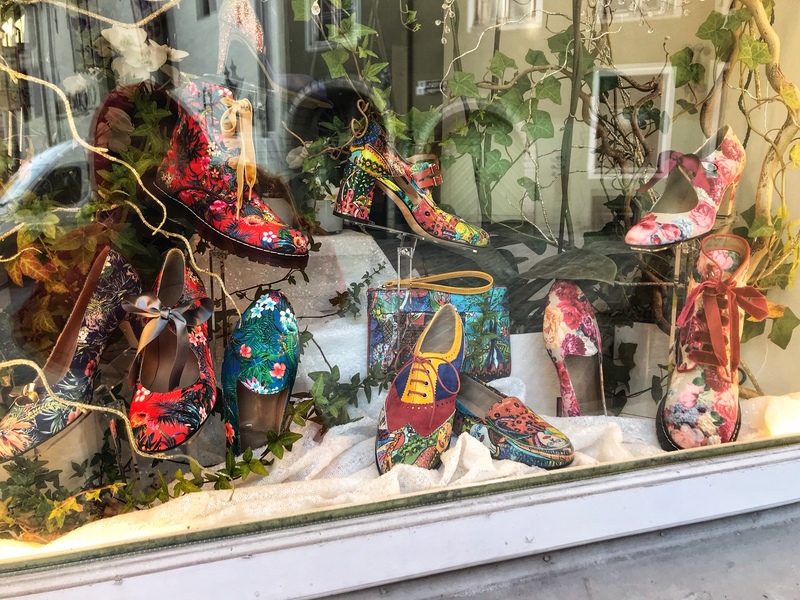 Although I had asked about which government restored his city that had been heavily bombed during WWII, he replied about the freedom he had to speak his mind, to make jokes about the government, to be himself. He made it clear that he was very happy with Estonia’s new political system. 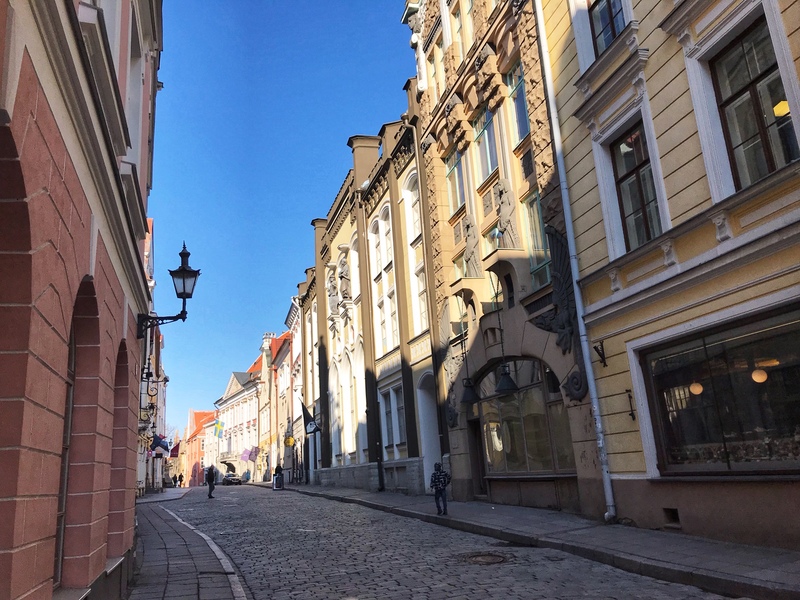 A typical cobblestone street filled with old buildings in the Old Town section of Tallinn. Some of the buildings date from the early medieval era. Tallinn gives every impression of being a very westernized city. The new part of town has many new glass towers. One of them is the 30-story Swishotel. It is only 27 years since the Soviet Union controlled the government here as it had done since the end of World War II. Tallinn has become a very popular stop for Baltic cruises and that no doubt raises income levels here. I came because friends who have visited Tallinn on Baltic itineraries have told me how much they liked it. Surely that word has spread far. It is a city well worth visiting. Beautiful, old and new, well-maintained, friendly, English-speaking. 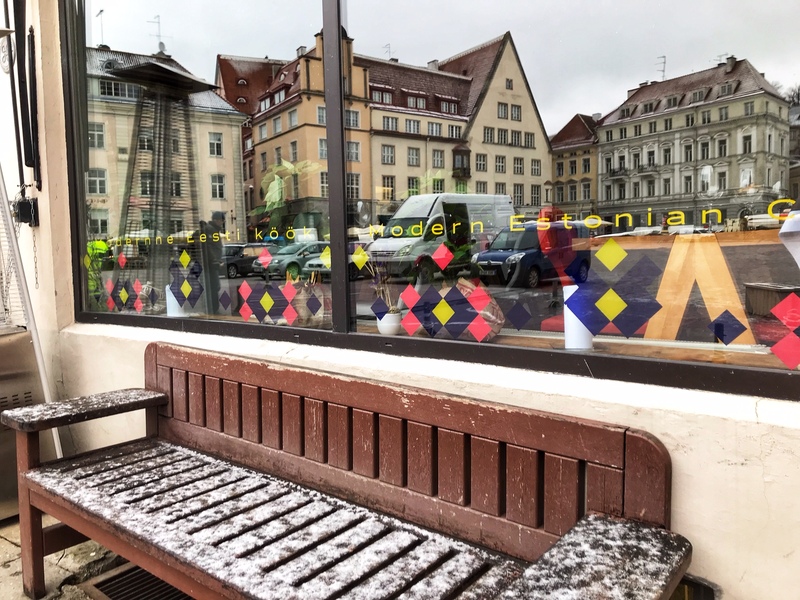 I’m writing this in Riga, Latvia – Estonia’s next door neighbor. As you’ll read in my next post, that town tells an entirely different story. Lovely entrance to a building on the market square in Tallinn. Perhaps originally a theatre? 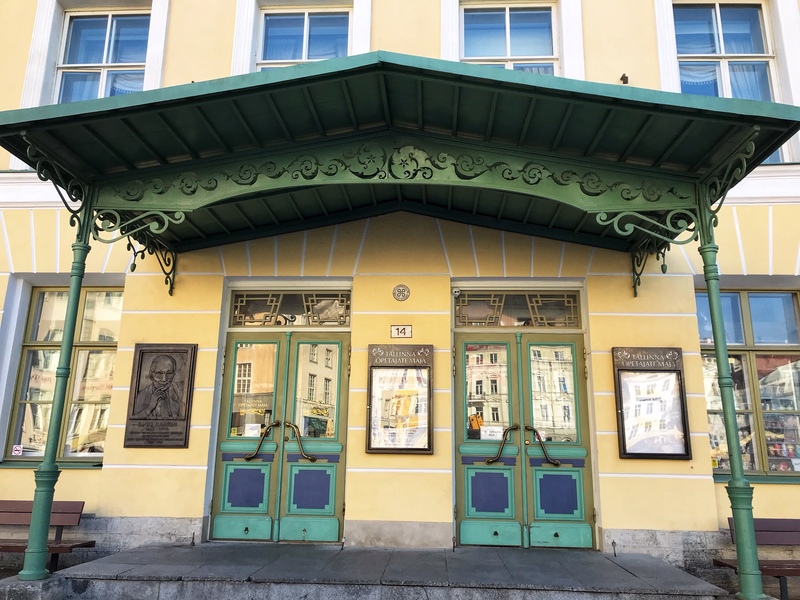 Tallinn has many beautifully painted and carved doors — so many that they’ve created a poster and other items showcasing doors. 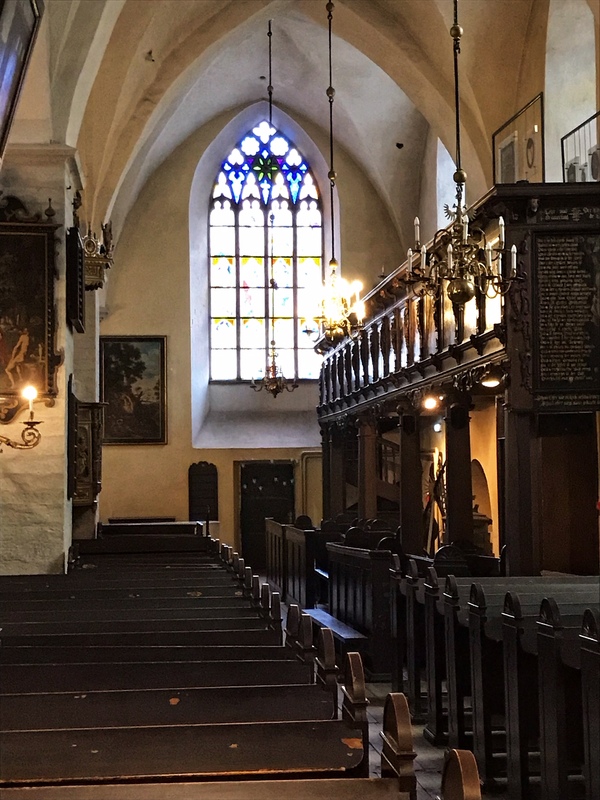 For my friend Clare: an ancient Lutheran church, older than the Protestant Reformation. Small, beautiful, still in use regularly.